The Wiregrass Ranch High School Marching Bulls had a successful 2017 season, earning trophy after trophy throughout the competition season and placing 6th in the state in semi-finals. The band also had an underlying motivation to succeed because their director Patrick Duncan was leaving at the conclusion of the season. The Marching Bulls made the Ranch proud this year! Still a month away from the end of the season, the Wiregrass Ranch High School (WRHS) Marching Bulls have rounded up a huge collection of trophies from three competitions so far, with only one more to go. The Marching Bulls have been working on their show “Magnetic” since June, practicing for long hours multiple times per week and performing at football games. This show explores the concepts of magnetism, such as attraction and repulsion, red and blue (seen in the members’ uniforms), and includes compass needle props. 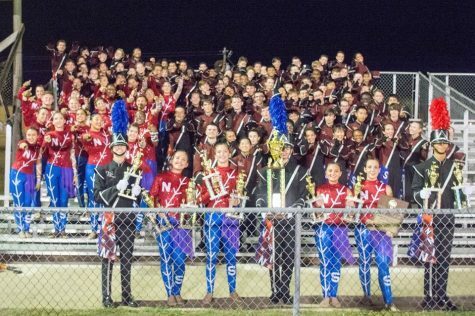 At their first competition, held at Cheifland High School on September 30, the Marching Bulls earned the title of grand champion, holding the highest score of every band in attendance, and first place in class 4A. They also received caption awards, including best colorguard, best visual, and best music. 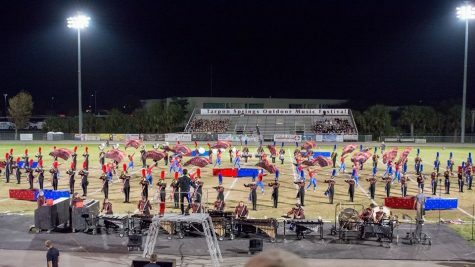 The next weekend, the band competed four hours away at Flanagan High School. Here, they placed second in their class and fourth overall out of about 25 bands and earned the caption award for best music. On October 14, the Bulls placed first in class at Tarpon Springs High School. They also earned the caption award for best drum majors. This show was a big one, since it was the Bulls’ last real competition until championships. WRHS will be hosting a competition on October 28, which is an enormous fundraiser for the band program. 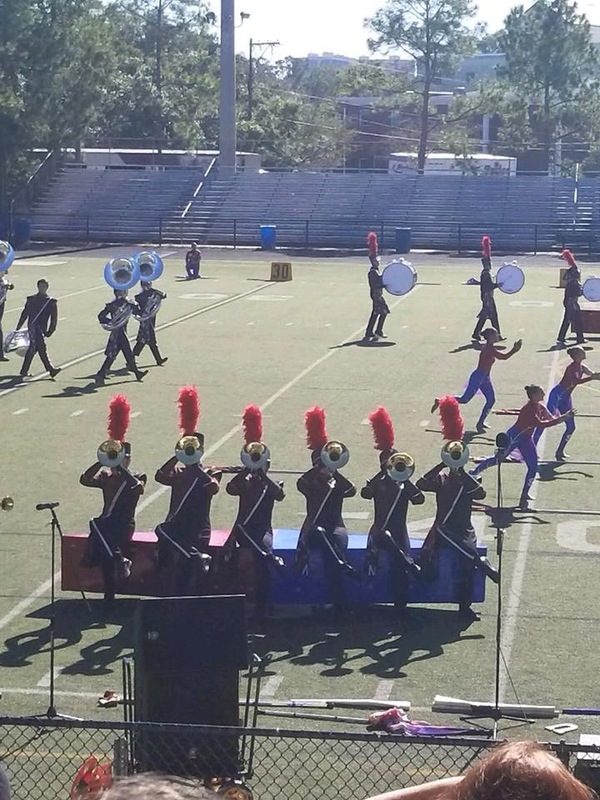 The following Saturday is the band’s music performance assessment (MPA), which is not a competition against other bands but a rating for each individual group. The Florida marching band championships, the Marching Bulls’ final event of the season, will be on November 18 at Tropicana Field. With the success of the band so far, WRHS could definitely have the chance to win this year. No matter the results of championships, the Marching Bulls have had a spectacular season that doesn’t show sign of slowing down. 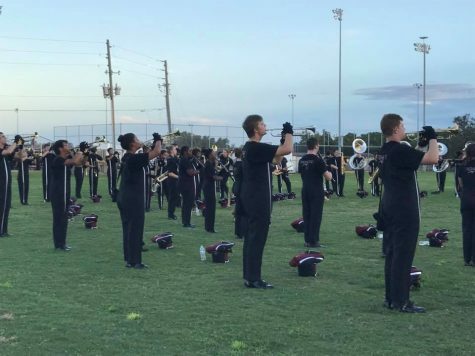 The Wiregrass marching band has performed well this year and continued to do so at the state competition on November 16th, placing 6th overall. 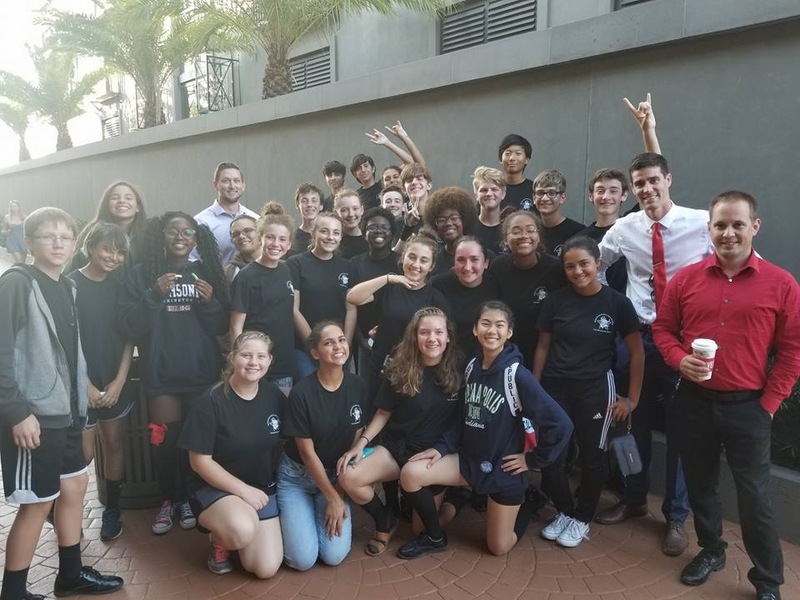 The Marching Bulls band have shown their strength at other competitions throughout the year, including a 1st place finish. “We have had a wonderful competitive year thus far. We have attended 3 competitions, where we placed 1st overall at one, 4th overall out of 26 at the second, and 2nd overall out of 24 at the third. 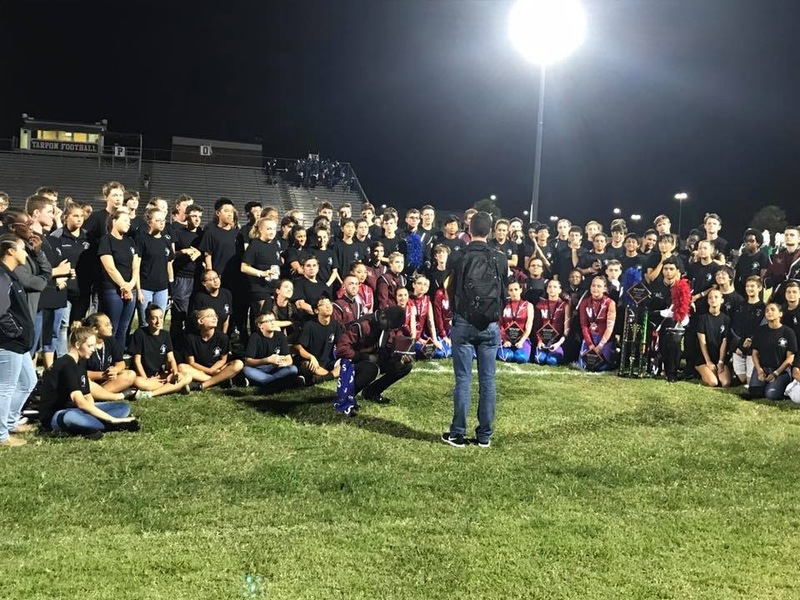 Along with that, the Marching Bulls earned straight superior ratings at our annual district assessment,” band director Patrick Duncan commented. For a lot of band members, including the director, this was their last time performing for Wiregrass. “It’s a bittersweet feeling. I am so proud of our students and our families for what the have been able to accomplish since we started this journey. I enjoyed everything about our final day together,” Duncan commented. Leading up to competition season, the Marching Bulls were practicing 5-6 days a week, including a Saturday practice from 12pm-8pm. “We practiced a lot to make sure we were ready for out last competition and I think finishing 6th is a good way to end the season,” junior Ashley Landry said. The Wiregrass Marching Bulls had the best that the school has ever had and they expect to do even better in the coming years.